By keeping pace with the current market demand, we are presenting an assorted series of Alloy Steel Chain. We have a huge demand coming for industries. The mentioned product is accurately fabricated at our highly advance production unit following market defined values. We Are Engaged In Manufacturing, Supplying And Exporting Of All Types Of Alloy Steel Chain, Stainless Steel Chain And All Other Types Of Chains Used For Lashing Purposes. 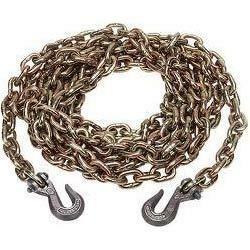 These Chains Are Finely Designed And Are Widely Demanded By Our Customers. Keeping track with latest market development, we are devotedly engaged in manufacturing a wide assortment of Alloy Steel Chain. 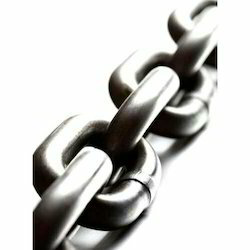 Our gamut of alloy steel chain is acknowledged in the market or their durability and tensile strength. We see to it that these are fabricated using premium quality alloy steel grade 80 and are available in various configuration and fittings. Imported or local manufactured chain / chain sling, endless/ non endless, with material mild steel or Alloy steel with different hardness basis the use.